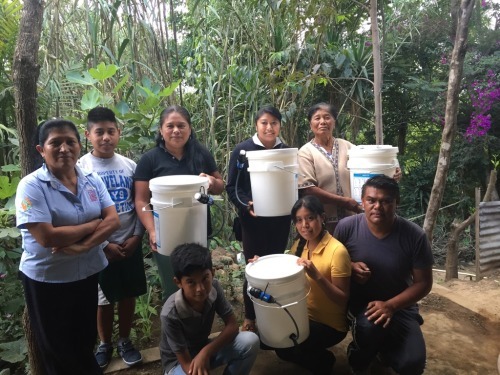 In 2017 and 2018, For One Another has partnered with Sustainable Empowerment Leadership Foundation (SELF) to provide clean water to four communities in Honduras. SELF is a non-governmental organization (NGO) that empowers people in communities, foreign volunteers, and SELF staff to make alliances and sustainably solve community problems. SELF works to ensure that each project be a collaboration of different organizations, municipalities, community members, and other relevant parties. 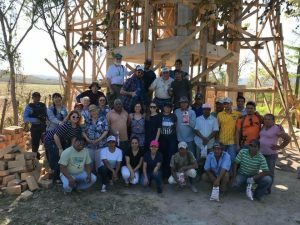 SELF has been working with seven communities in the municipalities of Cantarranas, Francisco Morazan and Moroceli, El Paraíso to implement a series of programs and projects that guarantee development in health, education, infrastructure, community economy, and women’s health, among others. 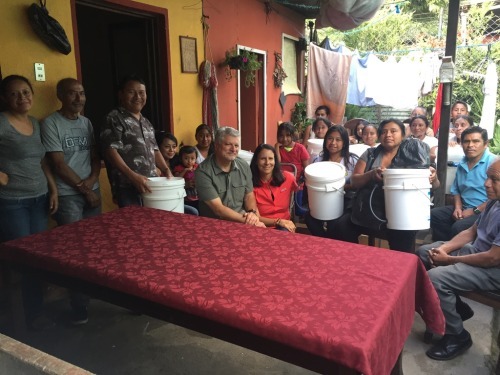 In 2017, FOA donated to support the installation of clean water infrastructure, including an elevated water tank, in the community of Nuevo Paraiso, about 30 minutes outside of Tegucigalpa. 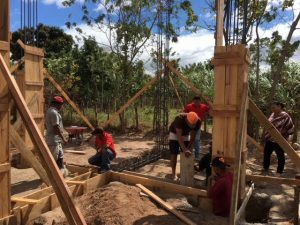 The clean water project was completed in April of 2018, and is currently providing more than 1,400 people, including the students of the Paraiso community’s school, with clean water for the first time in over 40 years. 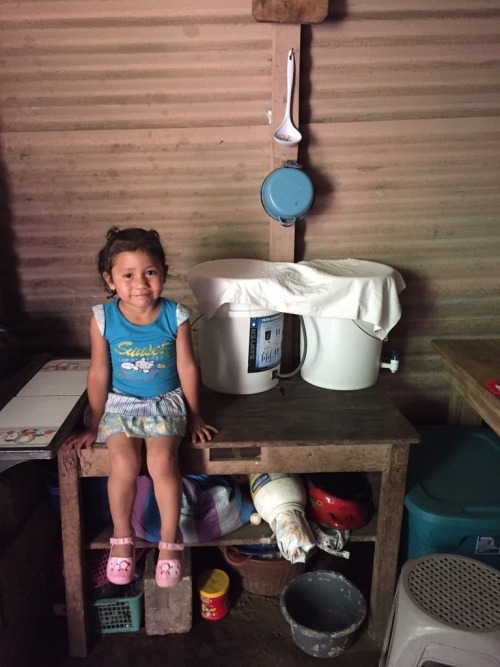 In 2018 FOA also partnered with SELF to install water filters to the Suyapa, Chandala and Bosque communities in Honduras. 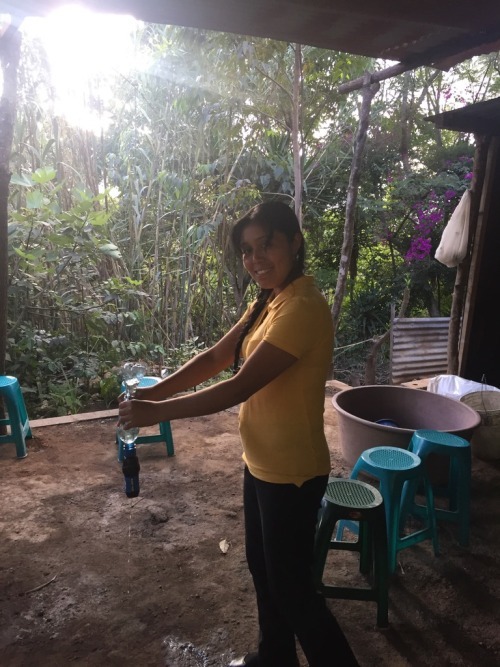 SELF staff and volunteers oversaw the installation and use of filters in these communities’ schools and medical/dental centers, which will benefit the community members who are most vulnerable to the effects of unsafe drinking water. We are so grateful to be able to support sustainable clean water projects in partnership with SELF this year! You can learn more about SELF and their work at http://www.selfhn.org. 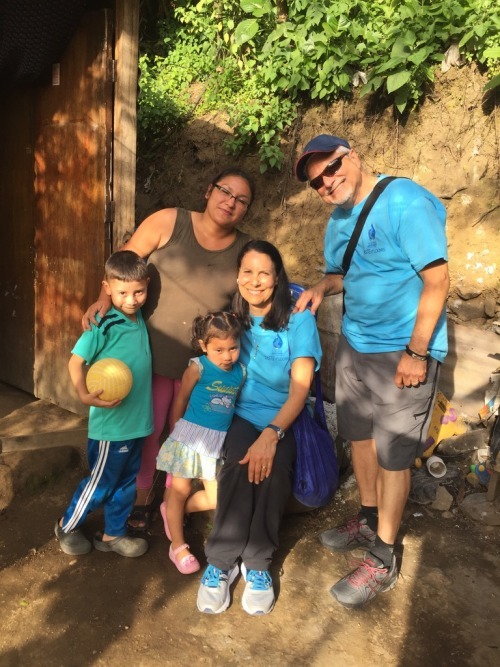 Guest post by Pamela Boehle-Silva on her trip to Guatemala this past summer. You can follow her blog at alwaysmercy.tumblr.com. 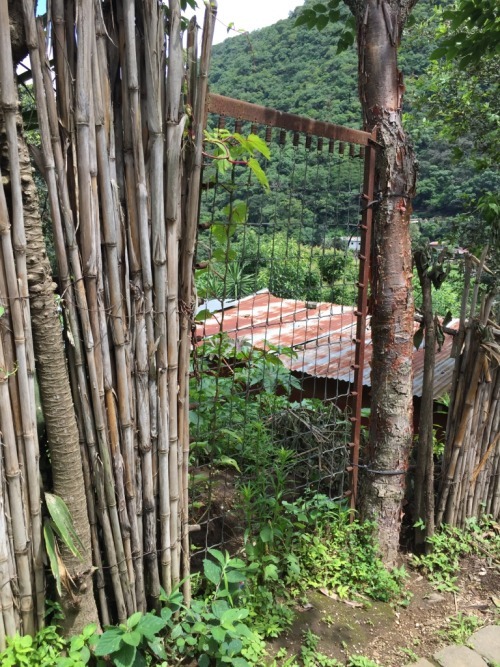 We hike up the steep cobblestone path leading to even steeper steps and eventually find our way on dirt paths that wind through the various homes tucked in the foliage of the hills above Colonia Hermano Pedro, Guatemala. Far below us is the quaint city of Antigua her streets flooded with tourists, language students and vendors all vying for space and attention. Cars, motorcycles, tuk tuks (auto rickshaws), scooters, and huge buses crowd the narrow streets, spewing up a cacophony of noise. But up here, in the hills, it is quiet. It is almost picture perfect. After a few more twists and turns on the paths muddied by the daily rains, we come to a familiar gate made of corrugated metal. Our friend, Billy, calls out, “Hola!” A dog barks bringing children’s voices close. The gate is unlatched by eight year old Brian, followed close by his younger sister Gabby. Faint recognition floods their small faces, remembering us from last summer when we came to visit and gave them a water filter system. They grab our hands, “Venga!” (come), and lead us on towards the house on the thin path, flanked by clothes drying on the line. Their mother, Nancy, emerges from the kitchen, drying her hands on her apron. “Buenos días,”she says as she extends her hands to greet us. She invites us into the kitchen—a space with a dirt floor used for food prep and eating– the family sleeps in another small detached space. The first thing we notice is the water filter, sitting on a table, clean and functioning well. While Gabby, Brian and I play a combo of soccer and catch on the narrow ledge, Nancy tells us that since the filter was placed last year, Brian has had no stomach issues. 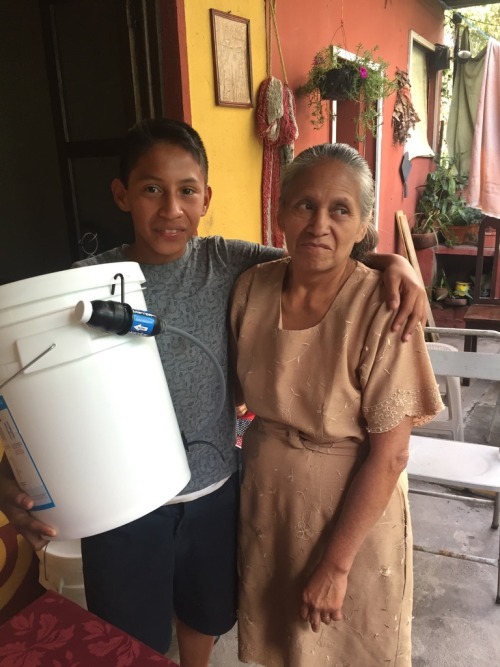 Before receiving the filter and clean water, Brian was often sick and missed a lot of school. That day, we gave out thirty-five water filters to a group of people from this pueblo. Organized by a colleague in Antigua, he helped interpret as we talked about the filter and its use. We even threw a bit of dirt in the bucket to muddy the water. (In these parts, the water “looks clean”, unless you are using river water, so to demonstrate the effectiveness of the filter, we threw dirt in the bucket of water before filtering it, so they could see for themselves how crystal clear it looks when filtered). 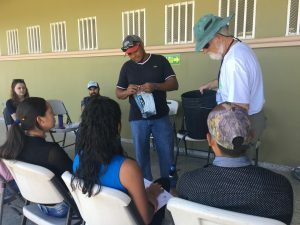 It is quite a feat to have thirty-five nervous people, learn how to put a filter system together and then demonstrate how to use it, clean it and care for it, especially when there is a language barrier! But with much patience and laughter, all 35 people succeeded. 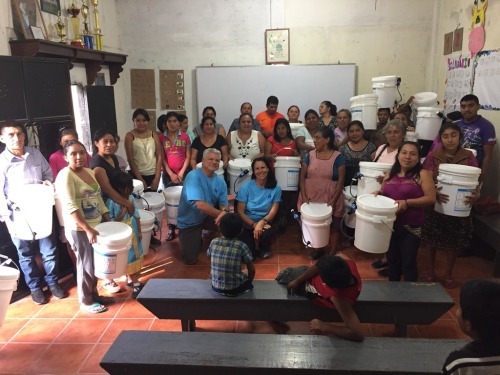 They held their buckets proudly and offered profuse gratitude for the gift given. 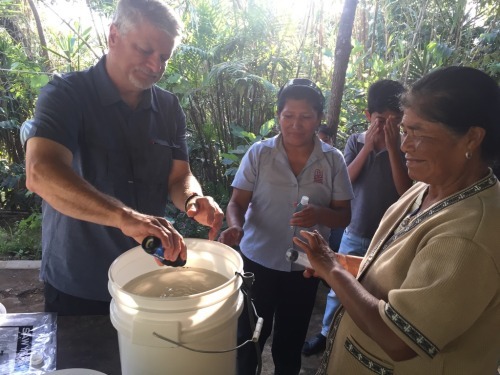 During our stay in Guatemala, we were able to distribute 60 filters to folks in need. One filter even went to an alcohol rehab center where our host mom volunteers. Our goal, along with the For One another Foundation is to provide clean, safe drinking and cooking water for families and their neighbors. The gift is meant to be shared! Many thanks to the For One Another Foundation for the gift of 60 filters. And to Thrivent Financial, and donations from folks at Holy Cross Lutheran Church which covered the cost of buckets and stipends for our interpreters. Want to help? It’s easy. 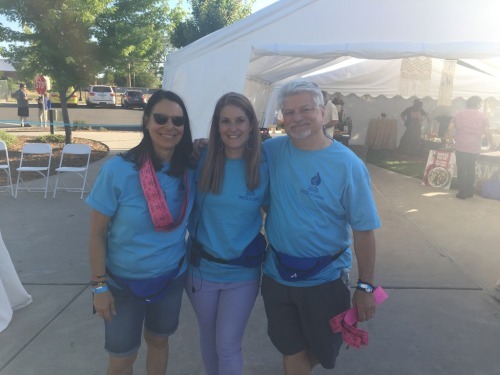 Pamela, Carrie Beth and Dennis at Taste of Loomis, 2018.